1. The Nazis - that is, the leadership, specifically Hitler - had to decide to undertake the extermination. The vast literature on Nazism and the Holocaust treats in great depth the first three elements, as well as others, such as the origins and character of Hitler's genocidal beliefs, and the Nazis' ascendancy to power. Yet, as I have already indicated, it has treated the last element, the focus of this book, perfunctorily and mainly by assumption. It is therefore important to discuss here some analytical and interpretive issues that are central to studying the perpetrators. Owing to the neglect of the perpetrators in the study of the Holocaust, it is no surprise that the existing interpretations of them have been generally produced in a near empirical vacuum. Until recently, virtually no research has been done on the perpetrators, save on the leaders of the Nazi regime. In the last few years, some publications have appeared that treat one group or another, yet the state of our knowledge about the perpetrators remains deficient. We know little about many of the institutions of killing, little about many aspects of the perpetration of the genocide, and still less about the perpetrators themselves. As a consequence, popular and scholarly myths and misconceptions about the perpetrators abound, including the following. 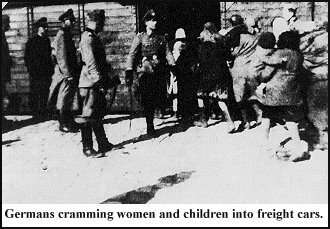 It is commonly believed that the Germans slaughtered Jews by and large in the gas chambers, and that without gas chambers, modern means of transportation, and efficient bureaucracies, the Germans would have been unable to kill millions of Jews. The belief persists that somehow only technology made horror on this scale possible. "Assembly-line killing" is one of the stock phrases in discussions of the event. 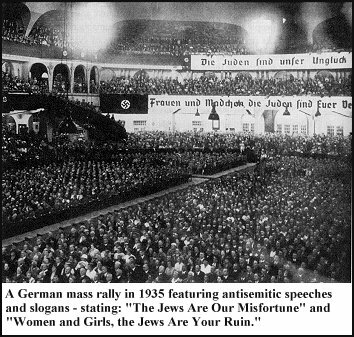 It is generally believed that gas chambers, because of their efficiency (which is itself greatly overstated), were a necessary instrument for the genocidal slaughter, and that the Germans chose to construct the gas chambers in the first place because they needed more efficient means of killing the Jews. It has been generally believed by scholars (at least until very recently) and non-scholars alike that the perpetrators were primarily, overwhelmingly SS men, the most devoted and brutal Nazis. It has been an unquestioned truism (again until recently) that had a German refused to kill Jews, then he himself would have been killed, sent to a concentration camp, or severely punished. All of these views, views that fundamentally shape people's understanding of the Holocaust, have been held unquestioningly as though they were self-evident truths. They have been virtual articles of faith (derived from sources other than historical inquiry), have substituted for knowledge, and have distorted the way in which this period is understood. The absence of attention devoted to the perpetrators is surprising for a host of reasons, only one of which is the existence of a now over-ten-year-long debate about the genesis of the initiation of the Holocaust, which has come to be called by the misnomer the "intentionalist-functionalist" debate. For better or worse, this debate has become the organizing debate for much of the scholarship on the Holocaust. Although it has improved our understanding of the exact chronology of the Germans' persecution and mass murder of the Jews, it has also, because of the terms in which it has been cast, confused the analysis of the causes of the Germans' policies (this is taken up in Chapter 4), and it has done next to nothing to increase our knowledge of the perpetrators. Of those who defined this debate and made its central early contributions, only one saw fit to ask the question, Why, once the killing began (however it did), did those receiving the orders to kill do so? It appears that for one reason or another, all the participants in the debate assumed that executing such orders was unproblematic for the actors, and unproblematic for historians and social scientists. The limited character of our knowledge, and therefore our understanding, of this period is highlighted by the simple fact that (however the category of "perpetrator" is defined) the number of people who were perpetrators is unknown. No good estimate, virtually no estimate of any kind, exists of the number of people who knowingly contributed to the genocidal killing in some intimate way. Scholars who discuss them, inexplicably, neither attempt such an estimate nor point out that this, a topic of such great significance, is an important gap in our knowledge. If ten thousand Germans were perpetrators, then the perpetration of the Holocaust, perhaps the Holocaust itself, is a phenomenon of one kind, perhaps the deed of a select, unrepresentative group. If five hundred thousand or one million Germans were perpetrators, then it is a phenomenon of another kind, perhaps best conceived as a German national project. Depending on the number and identity of the Germans who contributed to the genocidal slaughter, different sorts of questions, inquiries, and bodies of theory might be appropriate or necessary in order to explain it. One explanation argues for external compulsion: the perpetrators were coerced. They were left, by the threat of punishment, with no choice but to follow orders. After all, they were part of military or police-like institutions, institutions with a strict chain of command, demanding subordinate compliance to orders, which should have punished insubordination severely, perhaps with death. Put a gun to anyone's head, so goes the thinking, and he will shoot others to save himself. A second explanation conceives of the perpetrators as having been blind followers of orders. A number of proposals have been made for the source or sources of this alleged propensity to obey: Hitler's charisma (the perpetrators were, so to speak, caught in his spell), a general human tendency to obey authority, a peculiarly German reverence for and propensity to obey authority, or a totalitarian society's blunting of the individual's moral sense and its conditioning of him or her to accept all tasks as necessary. So a common proposition exists, namely that people obey authority, with a variety of accounts of why this is so. Obviously, the notion that authority, particularly state authority, tends to elicit obedience merits consideration. A third explanation holds the perpetrators to have been subject to tremendous social psychological pressure, placed upon each one by his comrades and/or by the expectations that accompany the institutional roles that individuals occupy. It is, so goes the argument, extremely difficult for individuals to resist pressures to conform, pressures which can lead individuals to participate in acts which they on their own would not do, indeed would abhor. And a variety of psychological mechanisms are available for such people to rationalize their actions. A fourth explanation sees the perpetrators as having been petty bureaucrats, or soulless technocrats, who pursued their self-interest or their technocratic goals and tasks with callous disregard for the victims. It can hold for administrators in Berlin as well as for concentration camp personnel. They all had careers to make, and because of the psychological propensity among those who are but cogs in a machine to attribute responsibility to others for overall policy, they could callously pursue their own careers or their own institutional or material interests. The deadening effects of institutions upon the sense of individual responsibility, on the one hand, and the frequent willingness of people to put their interests before those of others, on the other, need hardly be belabored. A fifth explanation asserts that because tasks were so fragmented, the perpetrators could not understand what the real nature of their actions was; they could not comprehend that their small assignments were actually part of a global extermination program. To the extent that they could, this line of thinking continues, the fragmentation of tasks allowed them to deny the importance of their own contributions and to displace responsibility for them onto others. When engaged in unpleasant or morally dubious tasks, it is well known that people have a tendency to shift blame to others. The explanations can be reconceptualized in terms of their accounts of the actors' capacity for volition: The first explanation (namely coercion) says that the killers could not say "no." The second explanation (obedience) and the third (situational pressure) maintain that Germans were psychologically incapable of saying "no." The fourth explanation (self-interest) contends that Germans had sufficient personal incentives to kill in order not to want to say "no." The fifth explanation (bureaucratic myopia) claims that it never even occurred to the perpetrators that they were engaged in an activity that might make them responsible for saying "no." Each of these conventional explanations may sound plausible, and some of them obviously contain some truth, so what is wrong with them? While each suffers from particular defects, which are treated at length in Chapter 15, they share a number of dubious common assumptions and features worth mentioning here. The conventional explanations assume a neutral or condemnatory attitude on the part of the perpetrators towards their actions. They therefore premise their interpretations on the assumption that it must be shown how people can be brought to commit acts to which they would not inwardly assent, acts which they would not agree are necessary or just. They either ignore, deny, or radically minimize the importance of Nazi and perhaps the perpetrators' ideology, moral values, and conception of the victims, for engendering the perpetrators' willingness to kill. Some of these conventional explanations also caricature the perpetrators, and Germans in general. The explanations treat them as if they had been people lacking a moral sense, lacking the ability to make decisions and take stances. They do not conceive of the actors as human agents, as people with wills, but as beings moved solely by external forces or by transhistorical and invariant psychological propensities, such as the slavish following of narrow "self-interest." The conventional explanations suffer from two other major conceptual failings. They do not sufficiently recognize the extraordinary nature of the deed: the mass killing of people. They assume and imply that inducing people to kill human beings is fundamentally no different from getting them to do any other unwanted or distasteful task. Also, none of the conventional explanations deems the identity of the victims to have mattered. The conventional explanations imply that the perpetrators would have treated any other group of intended victims in exactly the same way. That the victims were Jews - according to the logic of these explanations - is irrelevant. I maintain that any explanation that fails to acknowledge the actors' capacity to know and to judge, namely to understand and to have views about the significance and the morality of their actions, that fails to hold the actors' beliefs and values as central, that fails to emphasize the autonomous motivating force of Nazi ideology, particularly its central component of antisemitism, cannot possibly succeed in telling us much about why the perpetrators acted as they did. Any explanation that ignores either the particular nature of the perpetrators' actions - the systematic, large-scale killing and brutalizing of people - or the identity of the victims is inadequate for a host of reasons. 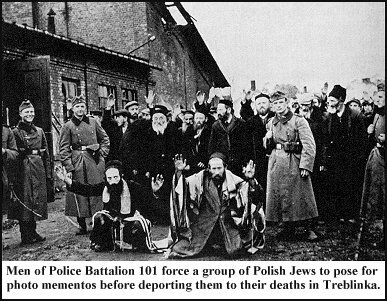 All explanations that adopt these positions, as do the conventional explanations, suffer a mirrored, double failure of recognition of the human aspect of the Holocaust: the humanity of the perpetrators, namely their capacity to judge and to choose to act inhumanely, and the humanity of the victims, that what the perpetrators did, they did to these people with their specific identities, and not to animals or things. My explanation - which is new to the scholarly literature on the perpetrators - is that the perpetrators, "ordinary Germans," were animated by antisemitism by a particular type of antisemitism that led them to conclude that the Jews ought to die. The perpetrators' beliefs, their particular brand of antisemitism, though obviously not the sole source, was, I maintain, a most significant and indispensable source of the perpetrators' actions and must be at the center of any explanation of them. Simply put, the perpetrators, having consulted their own convictions and morality and having judged the mass annihilation of Jews to be right, did not want to say "no." Daniel Jonah Goldhagen is Assistant Professor of Government and Social Studies at Harvard University and an Associate of Harvard's Minda de Gunzburg Center for European Studies. His doctoral dissertation, which is the basis for his book "Hitler's Willing Executioners: Ordinary Germans and the Holocaust," was awarded the American Political Science Association's 1994 Gabriel A. Almond Award for the best dissertation in the field of comparative politics. Hitler's Willing Executioners : Ordinary Germans and the Holocaust by Daniel Jonah Goldhagen - Forces us to revisit and reconsider our understanding of the Holocaust and its perpetrators, demanding a fundamental revision in our thinking of the years between 1933-1945. Drawing principally on materials either unexplored or neglected by previous scholars, Goldhagen marshals new, disquieting primary evidence that explains why, when Hitler conceived of the "final solution" he was able to enlist vast numbers of willing Germans to carry it out.